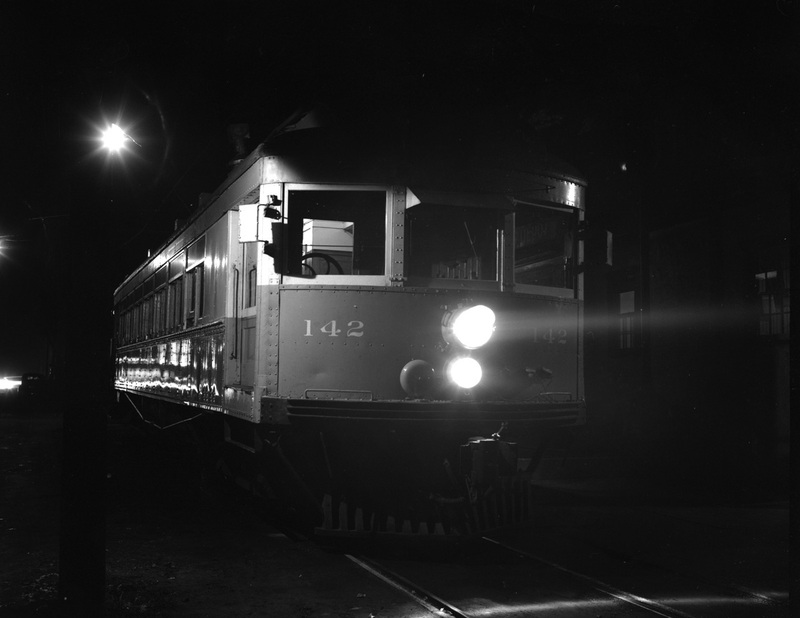 This series of night photos were all taken at the WCF&N depot at Cedar Rapids. Car 142 is a combination coach /baggage car. 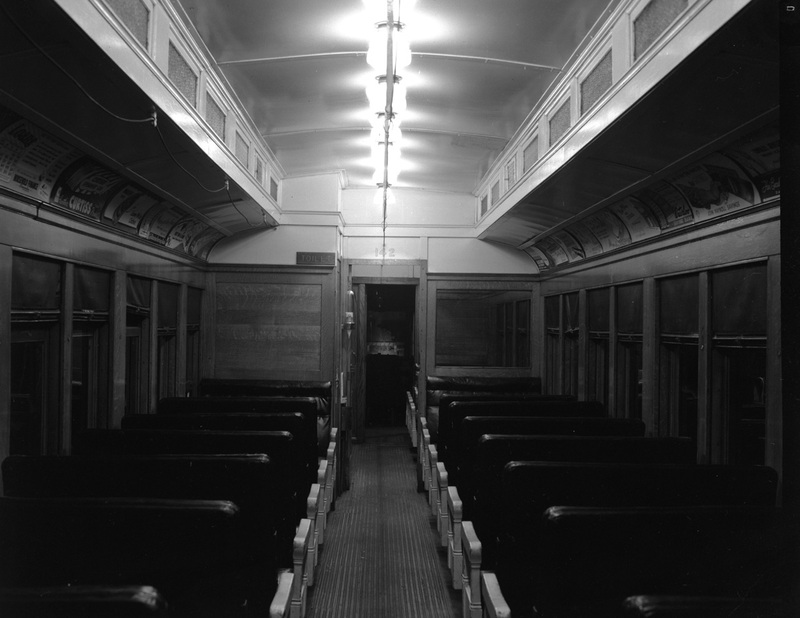 In the early days of the interurban line two car trains were often used with No. 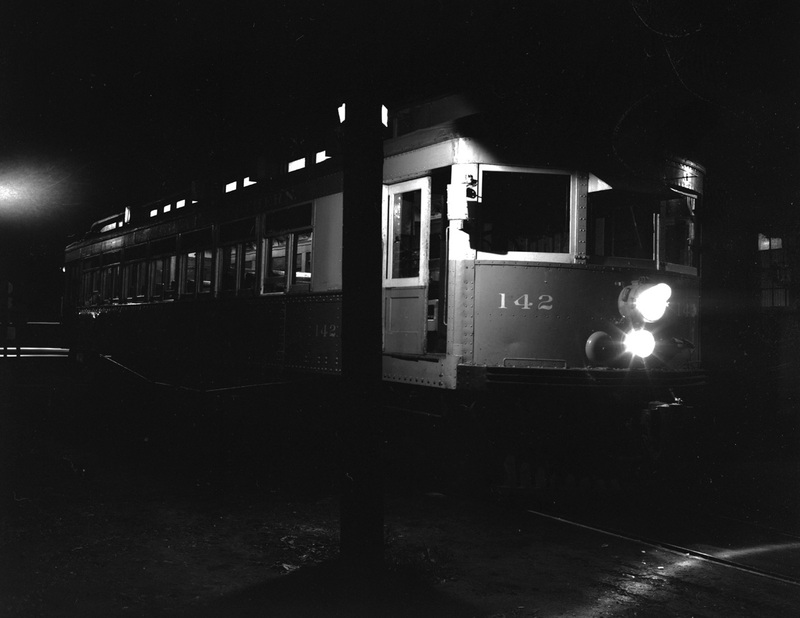 142 or a sister car in the lead followed by one of the three parlor cars 100-102. 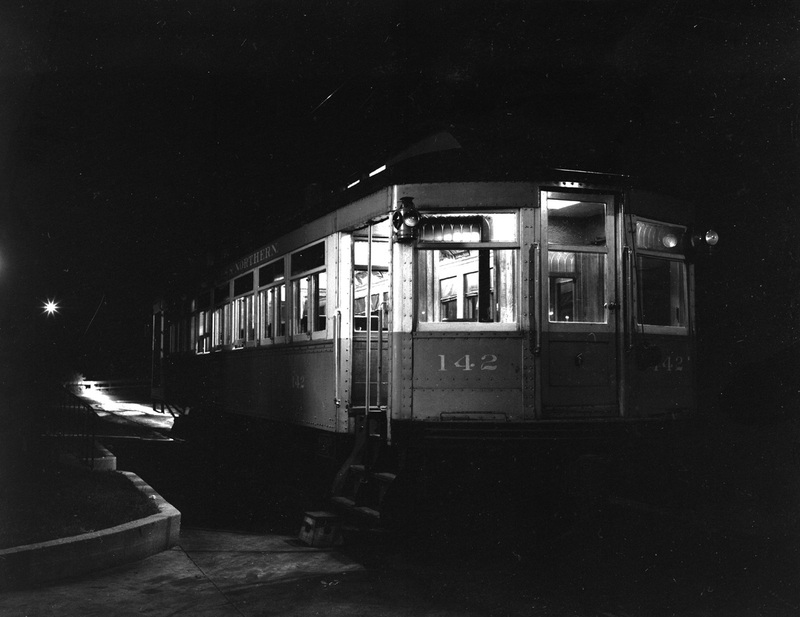 Following World War II a single car could normally handle the traffic needs. 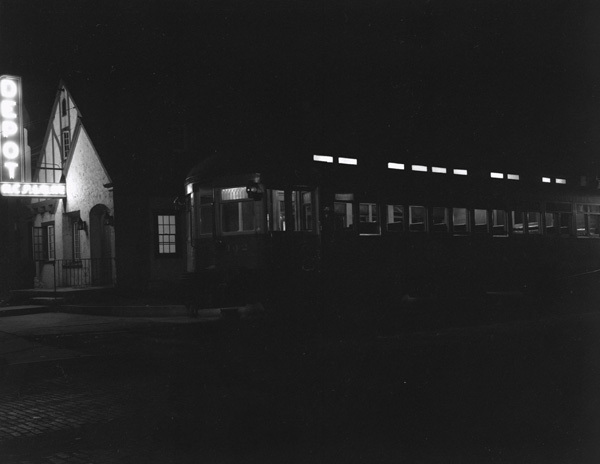 The WCF&N passenger cars were clean and well maintained even to the end of service in the mid 1950s as you can tell in these night shots.